This dish represents a fundamental dish from Tuscan tradition, interpreted according to the original recipe that includes sage, which is an herb of fundamental importance when cooking the Tuscan beans called fagioli uccelletti. The beans used in this recipe are very flavourful and have a particularly thin skin, which makes them easy to digest. 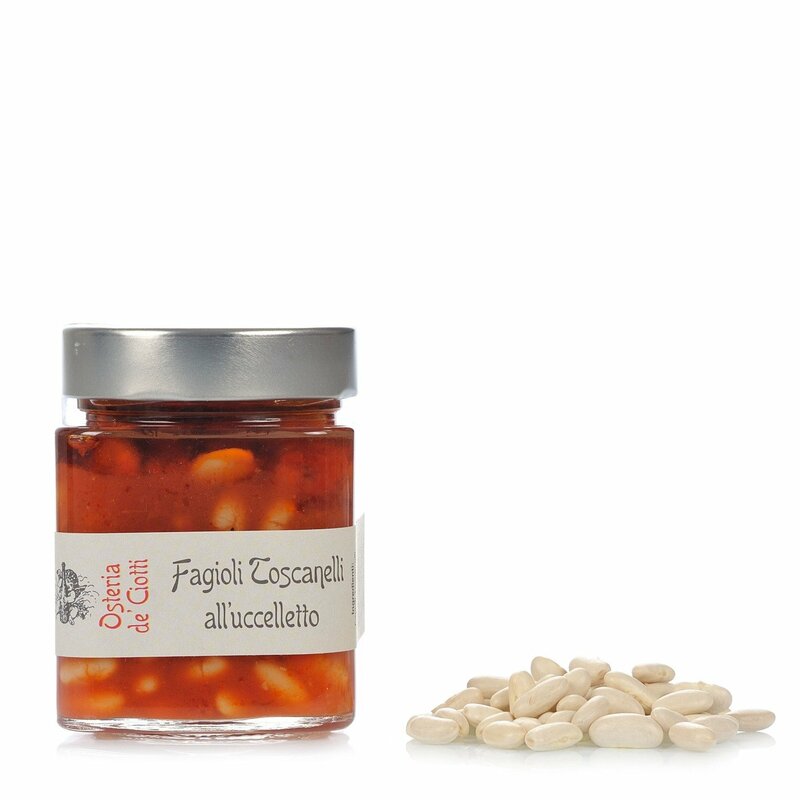 The Artusi called this recipe fagioli a guisa d'uccellini. Ingredients Beans, Organic tomato, extra virgin olive oil, sage, garlic, salt and pepper. Allergens: cereals containing gluten. For more information on product labels, please contact our Customer Service department. The information on the labels of the products may vary for reasons beyond our control, therefore, there may be discrepancies between the information on the site and that on the products delivered. Please always check the information on the product before consumption or use.